Excellent shub rose making a fairly large bush. 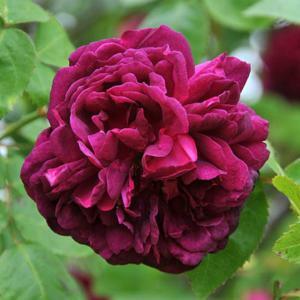 Fragrant, double flowers of rich crimson red, ageing to purple-maroon. Repeat flowering for several weeks in early summer.